My latest article in Melilah: Manchester Journal of Jewish Studies, examines Zionism and Anti-Zionism in the discourse of members of the Catholic Guild of Israel. Whilst Protestant evangelists were actively trying to convert Jews in England throughout the nineteenth century, the Guild – formed in 1917 and suspended in 1939 – was the first English Catholic movement to actively proselytise to Jews. The central theme in the discourse of the Catholic Guild of Israel was so-called Jewish “power.” It was argued that the Jews had great vitality, zeal and energy, which made them dangerous outside of the Church, but an asset if they could be brought into it. This idea was disseminated by the two most senior and prolific members of the Guild: Bede Jarrett, provincial head of the English Dominicans and the president of the Guild, and Arthur Day, an English Jesuit and vice-president of the Guild. Their notions of Jewish “power” influenced their views about Jews and their policies on Zionism. Significantly, whilst they shared almost identical views about Jewish “power,” they reached opposing positions about Zionism. They both saw Jewish “power” as a threat and opportunity, but Jarrett placed the emphasis on threat. He believed that bringing the Jews into the Church was the best way to neutralize the threat, and that Zionism would only present the Jews with an opportunity to cause chaos. Conversely, Day placed the emphasis on asset, and he believed that supporting Zionism was the best way to overcome Jewish resistance to Christianity. Day and Jarrett were the central core of the Catholic Guild of Israel, with most other members of the Guild expressing similar opinions. One prominent member of the Guild who did not gravitate to their views was Hans Herzl, a convert to Catholicism and the son of Theodor Herzl. Whilst on the surface Hans adopted the anti-Zionism of Jarrett, he was in a sense a part of a different discourse: an Anglo-Jewish discourse about the merits and demerits of Zionism, which was influenced by his Catholicism. His concern was not Jewish “power,” but rather the form that nationalism should take. Hans believed in Jewish nationalism, but he interpreted it as a spiritual movement. He believed that Jewish nationalism should bring Jews together in a bond of love and unity, but he rejected the idea of a Jewish territory. 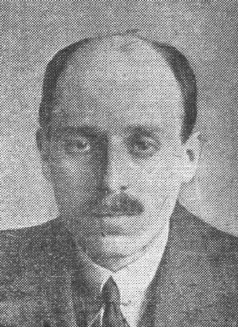 He was opposed to the British Mandate, advocating instead the custody of the Holy Places being transferred to the Holy See. He believed that the ideal Jewish nation was a “Christian Theocracy of Jewish faith,” a diaspora nation, with the Pope as sovereign and protector. Whilst it is impossible to present a complete picture of the Catholic Guild of Israel, my article attempts to present as representative an image of its discourse as is possible, by examining the views of its two most prolific and central members, combined with the views of the one prominent individual in the Guild who refused to gravitate to the centre.